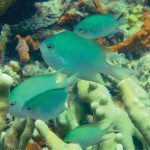 From the land of the rising sun comes a colorful new species of reef fish that is sure to be the envy of many aquarists. 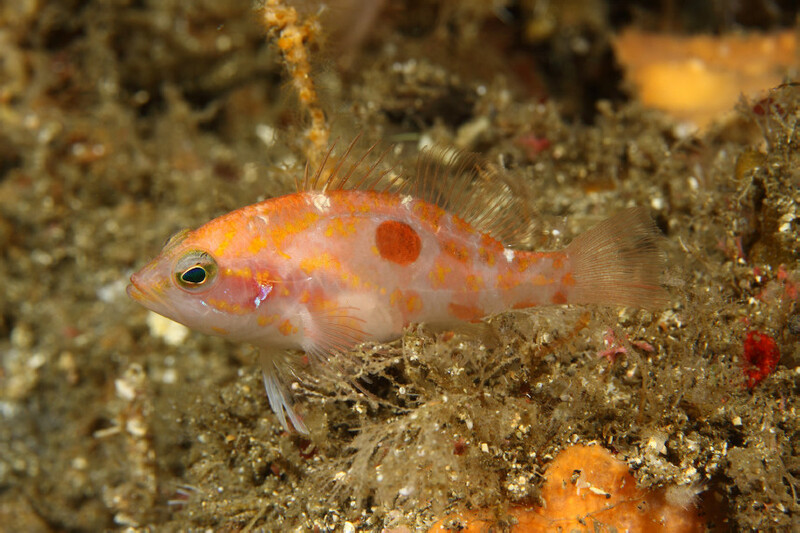 Though only just described scientifically, the Hinomaru Perchlet (Plectranthias takasei) has been known for years thanks to the efforts of Japanese divers. 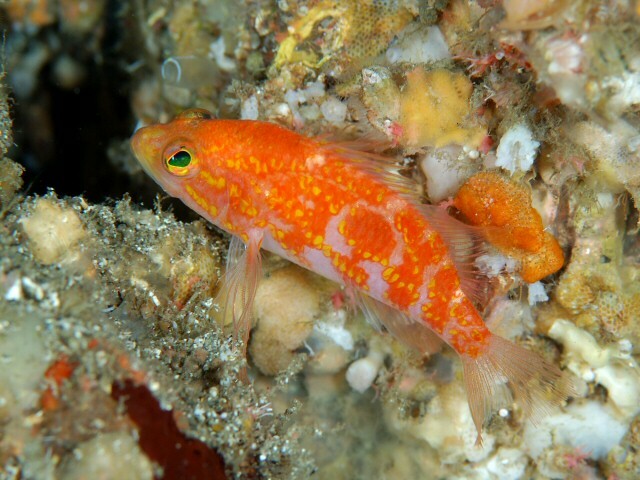 The distinctive red marking on its side, reminiscent of Japan’s national flag (known as the Hinomaru or “circle of the sun”) gives this endemic fish a fittingly Nipponese flavor. 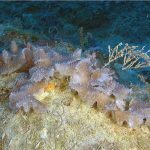 To date, the Hinomaru Perchlet has only been reported from the Izu Oceanic Park at depths of 48-60 meters, though it seems likely that it might occur deeper still. These rocky mesophotic reefs are located near the end of the Kuroshio current, which brings warm tropical waters from the Coral Triangle up towards Japan. At this high latitude, the waters at Izu are often quite cold, especially at the depths this fish favors, so anyone keeping this species in captivity should strongly consider investing in a chiller… though, alas, this fish is unlikely to be collected for aquarists anytime soon. 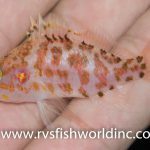 In general, Plectranthias perchlets are one of the more underrated groups of fishes, with few representatives making it into the aquarium trade. The only species seen with any regularity is P. inermis, which often goes by an inaccurate common name, the Geometric Pygmy Hawkfish. 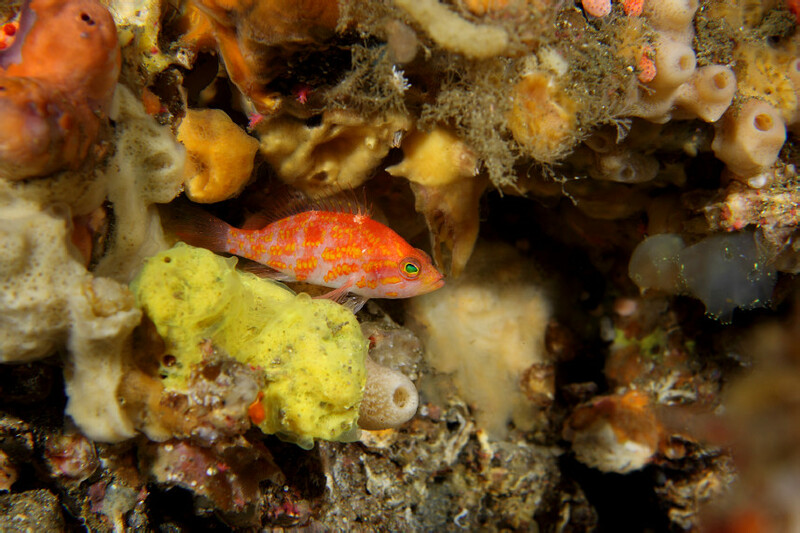 Though these fishes are indeed quite hawkfish-like in their appearance and behavior, the Plectranthias perchlets are actually quite closely related to anthias. Precisely how close this relationship is remains to be seen, as this hugely diverse group is virtually unstudied, both morphologically and genetically. 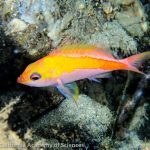 As noted by this paper’s authors, Plectranthias is particularly uncertain in its classification, and it is quite likely that its many species will ultimately be reassigned to new genera as our understanding of its evolutionary history becomes clearer. And there are many more undescribed perchlets yet awaiting description, including at least one which appears to be quite similar to P. takasei. As originally reported by Lemon Yi-kai Tea, the specimen seen above originated from Papua New Guinea and made its way to the Japanese retailer B-box Marine. It’s red markings and overall patterning are remarkably like the Hinomaru Perchlet, but several diagnostic differences separate the two, particularly in the dorsal fin patterning. 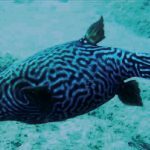 With increased exploration into the mesophotic realm these fishes call home, we can expect many more perchlet discoveries in the coming years.